Steve practices primarily in the areas of estate planning, estate and trust administration and income, fiduciary and death taxation. Steve is also experienced in representing corporate clients in connection with general corporate matters and various corporate and real estate transactions involving small businesses and individuals. Prior to receiving his J.D. degree from Widener University School of Law in 1997, Steve held positions as a Financial Accountant and as an Assistant Controller of a major Philadelphia area manufacturer. Those experiences allow Steve to bring a practical business oriented approach to his client's legal matters. 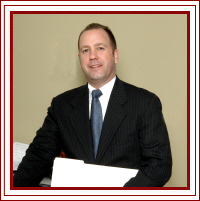 Steve is licensed to practice law in the Commonwealth of Pennsylvania and the State of New Jersey.